Just like how we have stressful situations arising in our life every now and then, kids too face a lot of trying situations at home, in school, with friends and every where around them in life. In such a case, kids too need stress busters like us adults and something effective and beneficial that can instantly cool off their heads. Breath awareness: Yoga helps children become more aware about their breath and breathing pattern. It teaches them to breathe deeply and utilise breathing techniques to calm down and de-stress in daily life. Breathing exercises can also help a child cure many respiratory disorders and health issues even before they take a major shape. 2. Full body workout: Yoga gives a person full body exercise, which means that it gives very good exercise to all the parts of your kid’s body. Many poses like the Sun Salutation Pose (Surya Namaskara) is one of the Yoga poses that take care of almost the whole body’s well being. This way your child is able to gain the benefit of a full body workout while she is at the Yoga class. 4. Great for joints and muscles: Yoga is excellent for a child’s body because it stretches the joints, lengthens the muscles and keeps many diseases and health conditions at bay. It facilitates proper development of the bones, brain and other growing parts of your child’s body. 5. Dealing with obesity: Due to the increased exposure to gadgets these days, obesity in kids is a worrying issue for all parents. 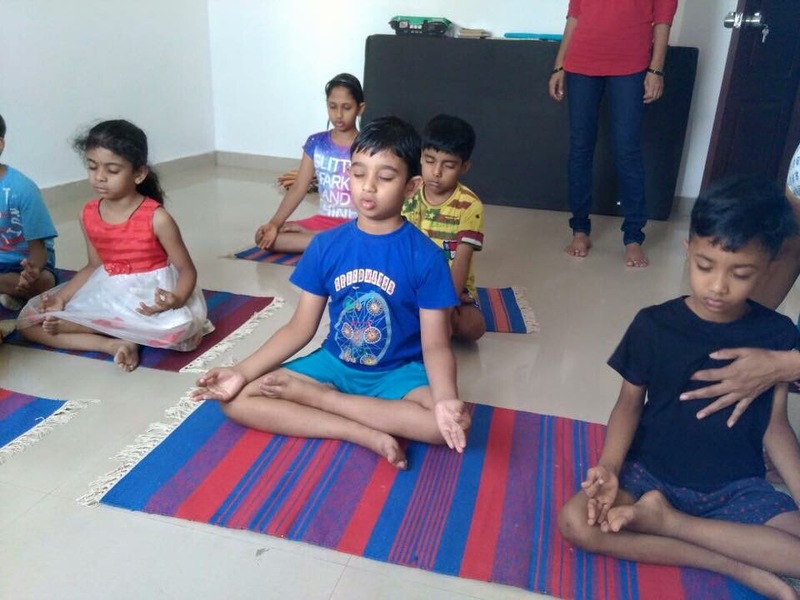 Yoga deals with obesity in kids very easily and can help your child not gain unnecessary weight or lose the extra weight that he has gained. 6.Height issues: Attaining a proper physical height is a major concern in kids as well as for their parents. Certain Yoga poses can help your child increase her height and grow to the fullest of her capability. As a parent, you should make every effort to encourage your child to practice Yoga on a regular basis. It is best to enrol her in a Yoga class and ask the parents of her friends as well, to do the same. This way she will have good company at the class and will get encouraged and motivated to try out Yoga. Once your kid practices Yoga at least for a month on a regular basis she herself will feel great and will look forward to attending her Yoga class everyday. If your child is not willing to step out of the house to practice Yoga in a class, you can hire a Yoga trainer to come home and teach her a few basic poses to begin with. Once she develops an interest in this discipline she will surely not resist attending a Yoga class to gain better results. Previous Click! Click! How to encourage your child’s photography skills?